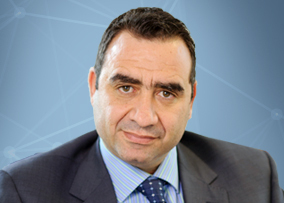 Marios Tofaros is currently director of the client accounting department of AMICORP (CYPRUS) LIMITED., a position he has held since January 2012. He is responsible for the bookkeeping of companies under management as well as their compliance with local laws and regulations. He is also involved in general office management. Marios graduated from the University of Kent at Canterbury in UK with a BA in accounting, finance and economics, and a Master’s degree in business studies. He is also a Chartered Certified Accountant (FCCA). Prior to April 2008, Marios was a financial accountant at Depfa Investment Bank Ltd. from September 2004 until March 2008. Earlier in his career he worked at Louis Catering Ltd. as a financial officer from March 2003 until September 2004, and before that for KPMG Cyprus, where he held various positions in the audit department. Marios is a member of the Institute of Certified Public Accountants of Cyprus, and is fluent in Greek and English.